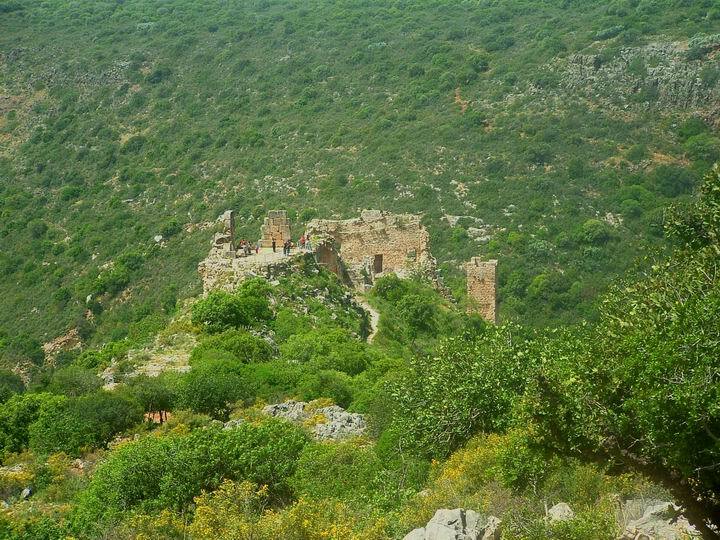 Ruins of a remote 13C Crusaders castle located in the heart of the nature park of Kziv creek. The ruins of the Montfort ("Mountain Fortress") castle is a popular weekend hiking place. 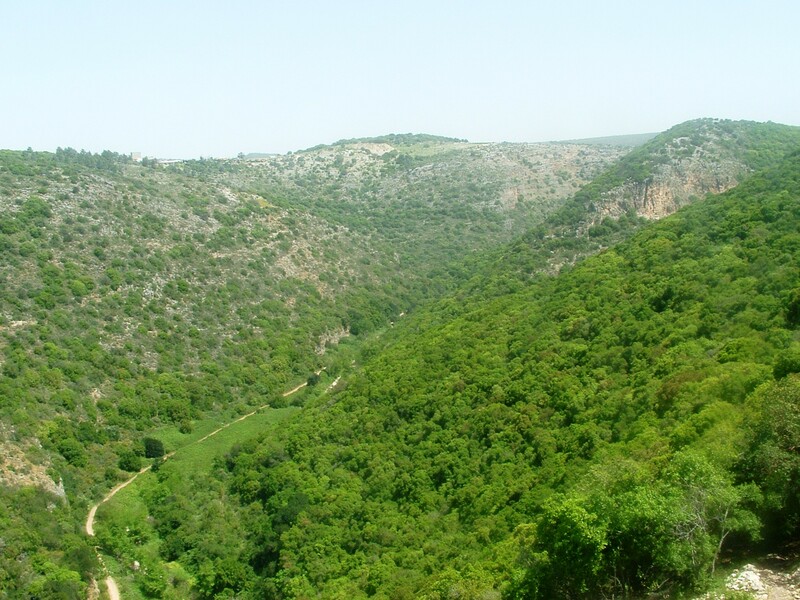 The hike combines Crusaders history with unique nature scenes and water flowing down the Nahal Kziv, one of the beautiful brooks in the Galilee. The area around Kziv, a 20KM long valley where the water flows only parts of the year, is covered by thick bushes. In the heart of this area, between the creek and a deep valley, rises a ridge where the the castle is located. 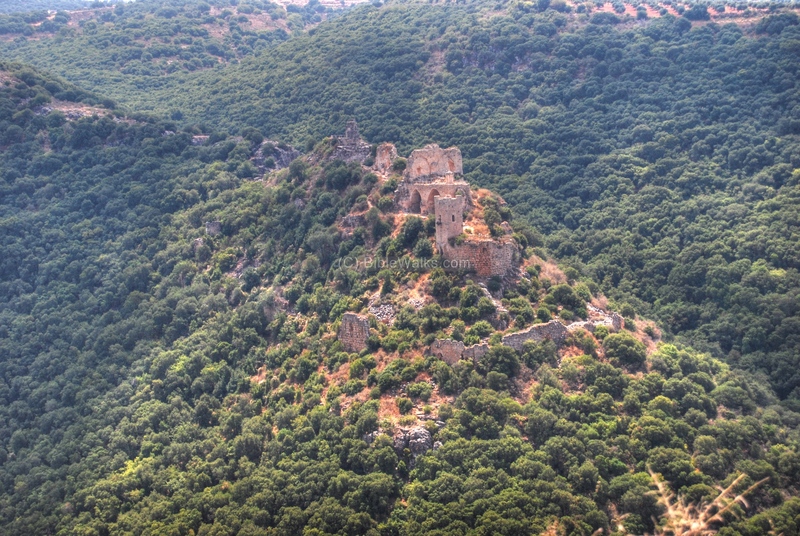 The castle started as a Crusaders farm in the 12thC AD, then heavily fortified. 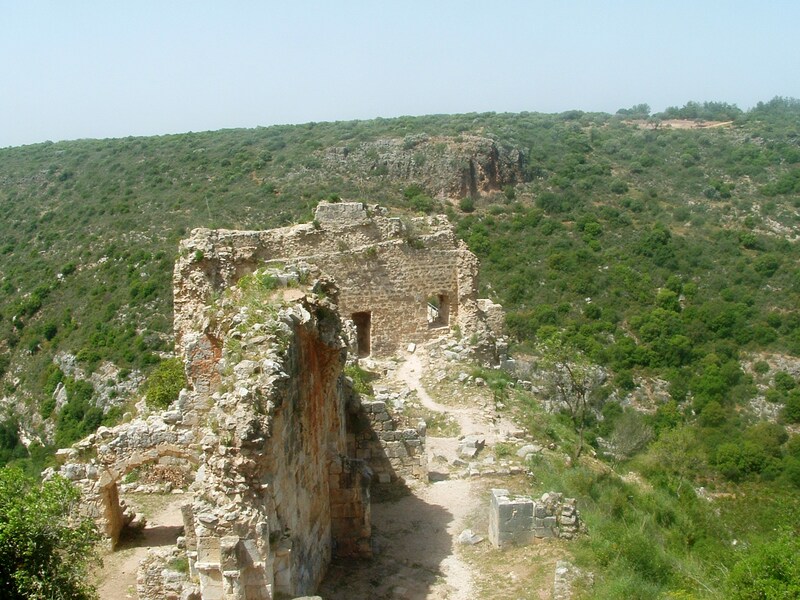 It was not a typical castle that protected the pilgrims or the borders, and is located at a remote location. 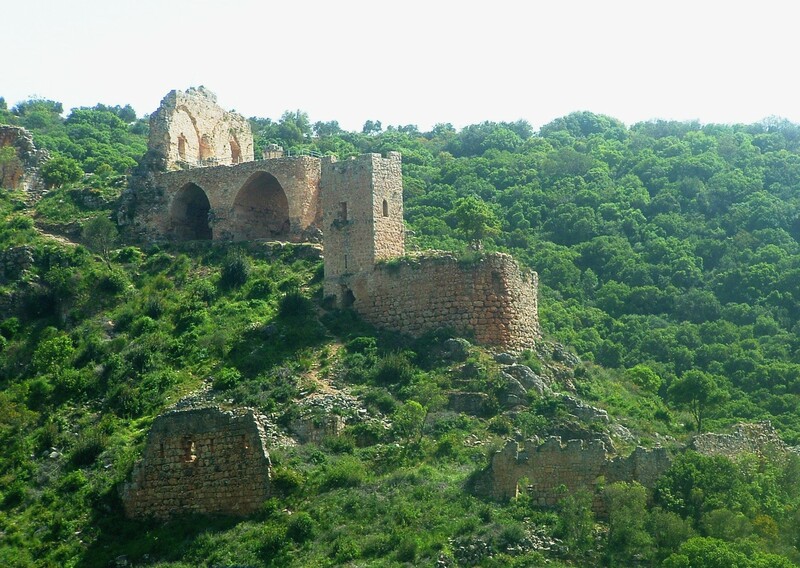 Although its remote location and mighty double set of walls successfully held against the initial Mamluk attacks, it finally gave up in 1271AD and since then is in ruins. 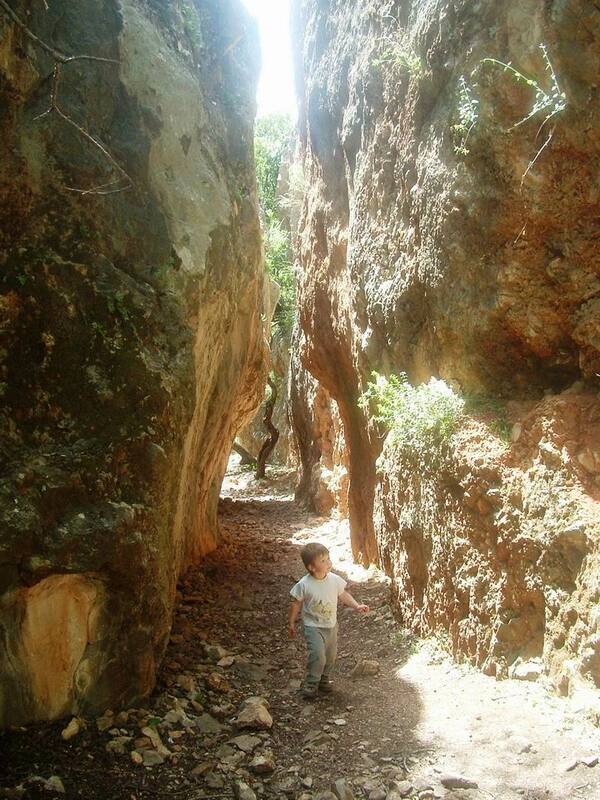 from the north: Goren park, west of Moshav Goren, located on the Nothern road along the border with Lebanon. from the south: Mitzpe Hila, accessed through Mi'iliya (Mi'liya) on the Nahariyah-Maalot road. 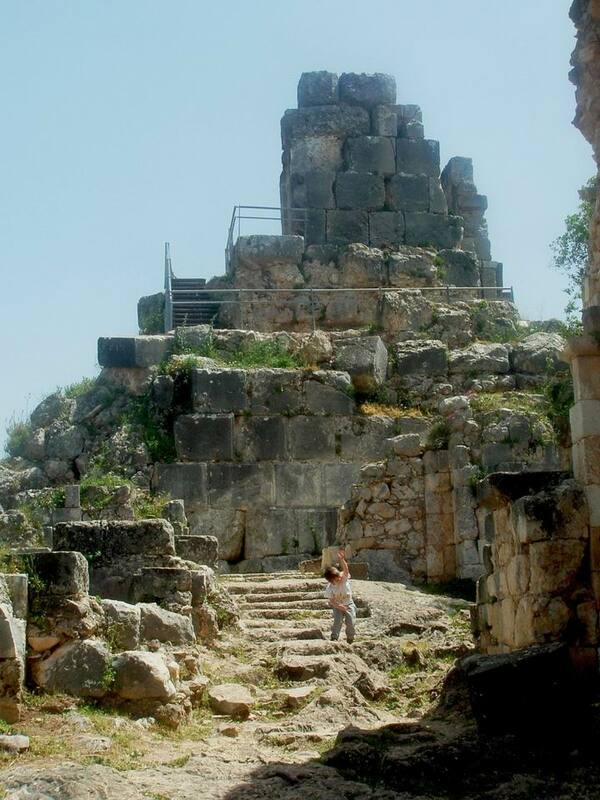 A Roman fortress stood here before the Crusaders castle. The builders of Montfort incorporated stones from the Roman fort. The excavations, held in 1926, revealed Roman coins, ceramics and stones. In the middle of the 12th C a farm was established at the site, and belonged to one of the most noble Crusaders families - De Milly - whose center was in the nearby village Mei-liah (Mi'ilya) in the "Kings castle" (Castellum Regis", also Mhlia). This family owned 36 villages and farms including the Montfort farm, which later expanded and was called Casatellum Nouwn Regis - or the "Kings new castle". 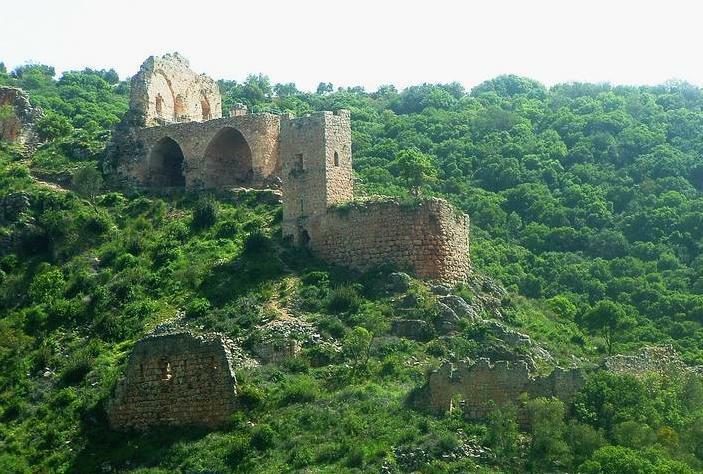 The fortified farm was captured by Saladin in 1187, and was recaptured and rebuilt in 1192. It was sold in 1229 to the German Teutons - Crusaders that came from Germany in the 13th C AD and established the Teutonic order - who translated the name from Montfort (the strong mountain) into Starkenberg ("strong mountain" in German). The order was the largest landlord in the Western Galilee, and their fortresses included Judin (Qal'at Jiddin, Yehi'am) and Knight's castle (Mi'ilya). The Teutonic knights established their center inside the castle, and with the aid from the Pope Gregory VI built a mighty fort with two lines of defensive walls. These fortifications were first tested in 1266 with an assault by the Mamlukes headed by Sultan Bybars, the conqueror of Israel, which had to retreat. 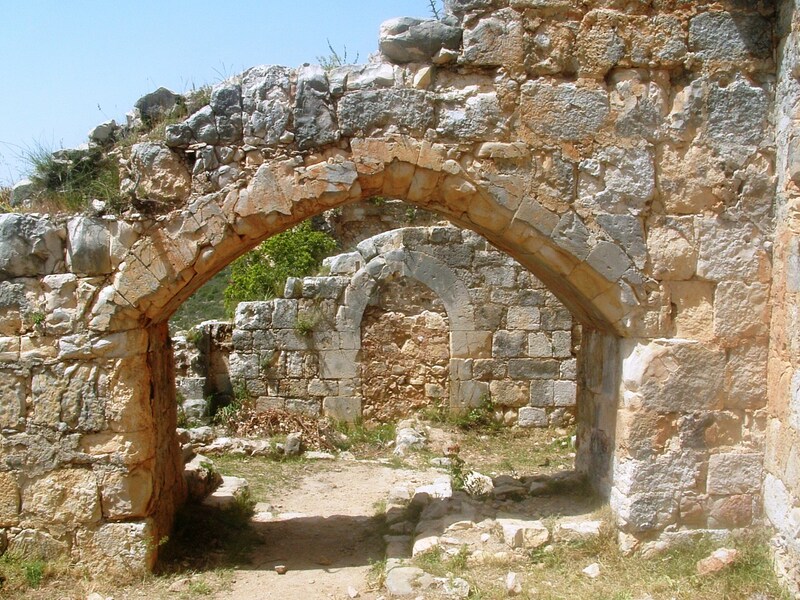 In 1271 Bybars attacked again with an engineering corp., who managed within a week to topple the external southern walls. The Teutonic knights, confined to the inner castle, decided to surrender and left unharmed, with their treasury and archives, to Acre. These were later transferred to Europe and continued to flourish there. Today they are on display in Tyrol, Austria. In 1926 an archaeological expedition, headed by the NY Metropolitan Museum, excavated the castle. 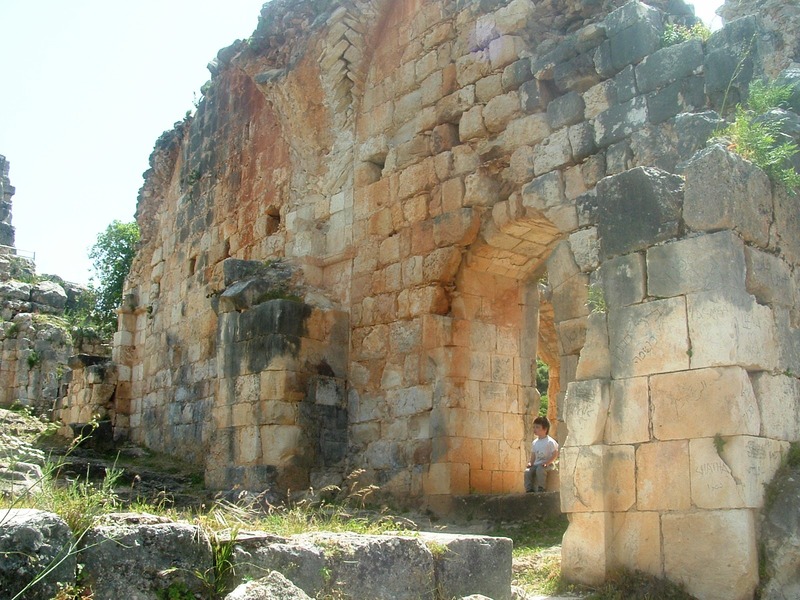 Renewed excavations, headed by Prof. Adrian Boas, are conducted since 2011. A view of the Montfort is seen below, as seen across the Kziv creek from Park Goren on its northern side. You can drive with your car, park here and start the hike to the site, or have a picnic and enjoy the view. All following photos by Gal Shaine. 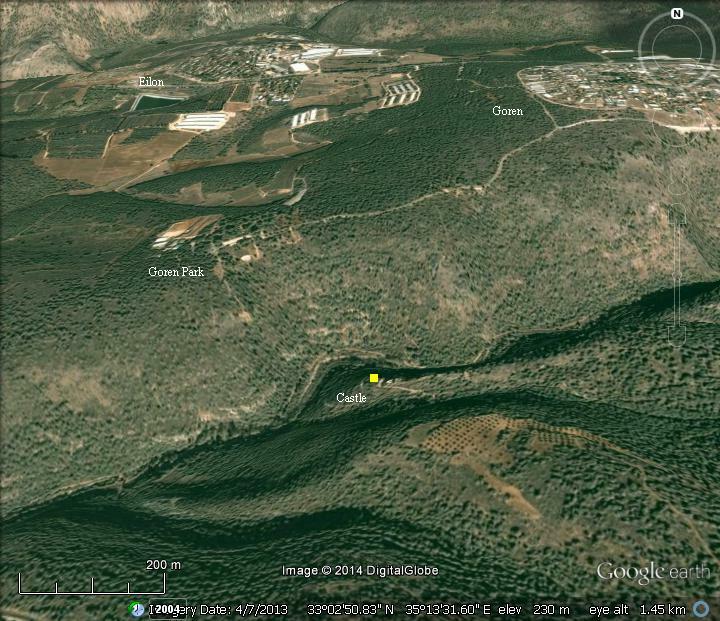 This is the view of the Kziv (Achziv) creek, north of the castle. Along the creek, and below the western side of the castle, are the castle's external walls. This was the first line of defense of the castle. Behind it were the quarters of the workers of the farm of the castle. Approaching from the northern side, from the Goren Park, is the view of the Montfort castle. It is almost covered by the bushes, even if recently the bush was mostly cleared out around the ruins. A closer look on the castle: in the center is the western section, with the rectangular tower on the north side. Below it are the external walls above the creek. Behind the western tower are the arches of the cellars under the grand hall. On the far left side are the eastern sections of the castle. The western side of the castle is seen in the photo below. On the right side is the rectangular tower. On the north side of the lower fortifications is the rectangular tower. This is the grand Knights hall, which was the center of operations. Two of the octagon pillars are left on site, as seen below. Under the hall are the two large cellars. A close up of the octagon pillar, part of the Knights hall. 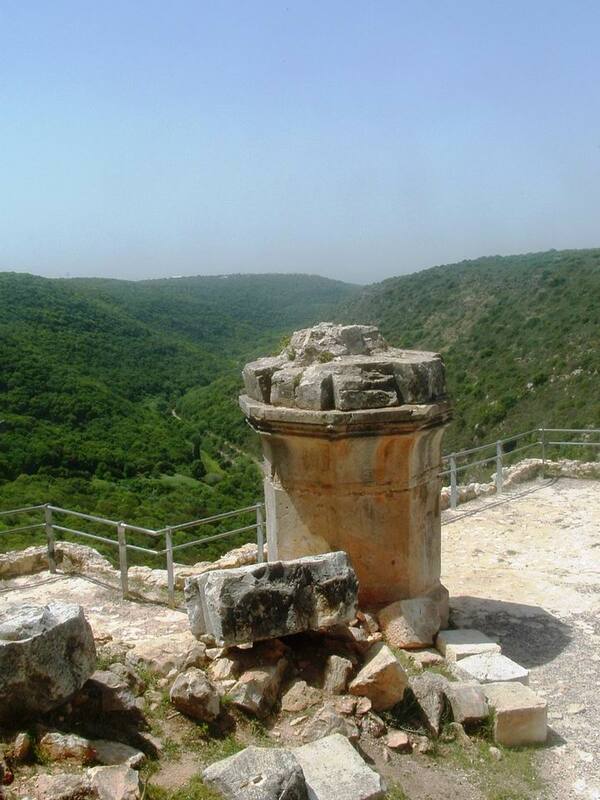 From this balcony is a magnificent view of the western section of Kziv (Achziv) creek, which flows into the Med sea near the ancient city of Tell Achziv (Achzib). 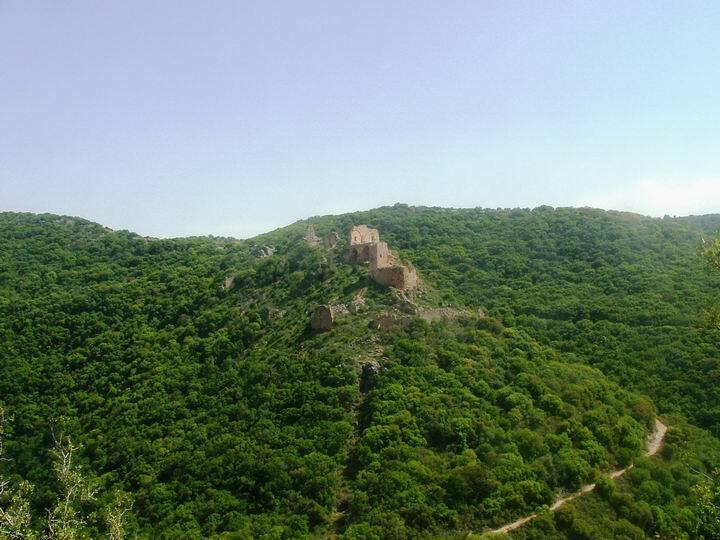 On the upper (eastern) side of the castle, 180M above the creek, are the inner fortifications. In this section of the castle are the living quarters, the kitchen and workshops. 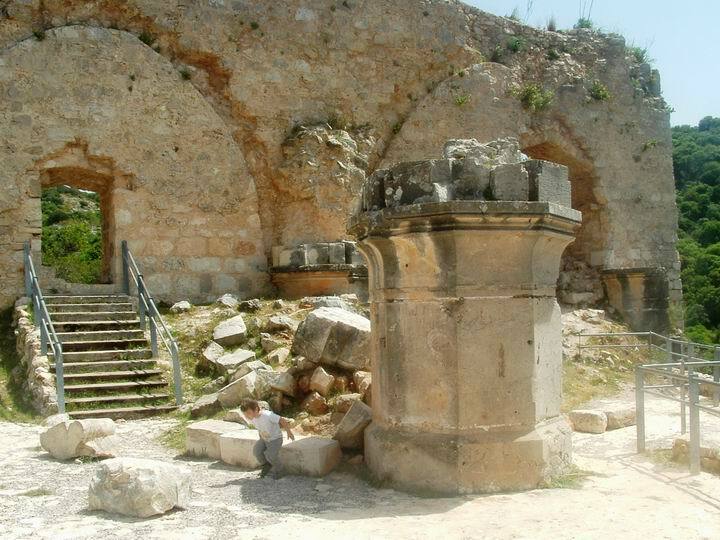 A closer look into the living quarters and remains of the church. Only the southern section of the church remained. A view of the north wall. The tall tower is on the far left. 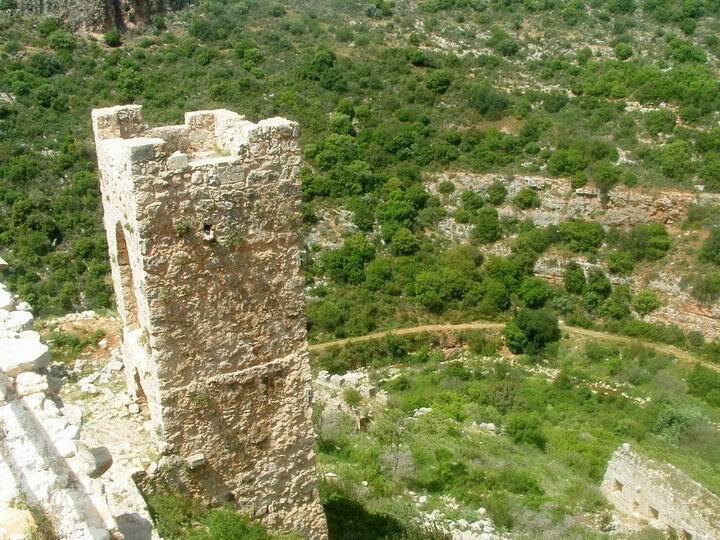 On the eastern side of the castle, on the mountain side, are the remains of the tall tower. It was built to protect the weakest flank, where the castle mount is connected to the ridge. In addition to the mighty tower a deep moat was built just below the tower in order to strengthen the defense. Indeed, these defenses withstood the attacks by the Mamluk Sultan Baybars in 1266. This castle was designed according to German medieval castle plans. The high tower is based on a structure known as Bergfried, similar to the Keep or Donjon in English and French medieval castles. A dry moat was built to strengthen the defense lines, as seen in the following photo. Montfort - French: Mont (mountain) and Fort (strong), or: "the strong mountain". Starkenberg - The German name of Montfort, meaning the strong Mountain. This was the name translated by the owners of the fortress, the German Teutonic knights - Crusaders that came from Germany in the 13th C AD. Kal'at el-Kurein - Arabic name of Monfort: Kal'ah means citadel; el-Kurein - small horn. This name, the fort since the fort was built on a steep ridge between the bush-covered hills and stands out in their midst. Mitzpe Hila - Hebrew: Mitzpe is an observatory or post - a term used as for community villages in the Galilee. Hila is "aura", or "glow". Thus the name can be translated to the "Aura post". 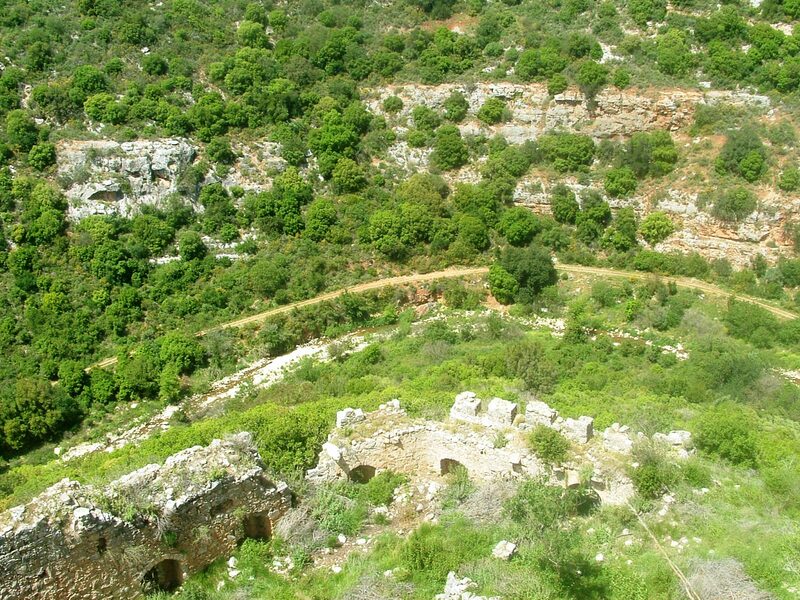 Montfort Castle Project - 5th excavation season (4.9.2014-10.8.2014) - Call for volunteers!